Jug decorated with marine motifs (dolphins, octopus) scanned from replica, retopologized and texture-baked normals and AO. Inner faces manually rebuilt. 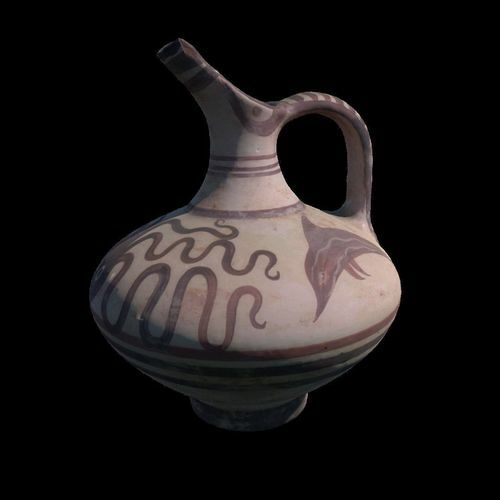 Late Minoan pottery (15th century BC).